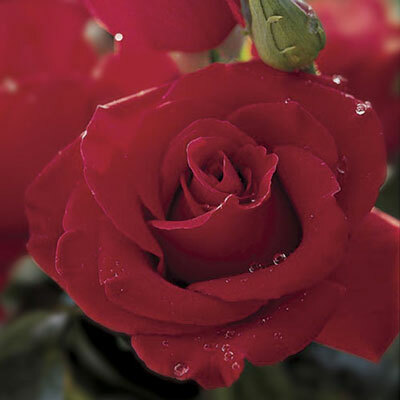 The epitome of the ultimate red Hybrid Tea, Veterans' Honor is a fitting tribute to the men and women who've served our country over the years. Big shapely buds unfurl perfectly into huge blossoms of impeccable form and stunning red color. All this beauty comes atop extra long cutting stems, perfect for picking up a few blue ribbons or making a grand bouquet just for you. Best flower size in the cool of spring.